This page is a draft only and is still in preparation. If you could, help to expand this page, but please do NOT translate it. When this page is completed, please remove this template. Welcome to the FAQ for Wikimania 2010! If you have any more questions not listed here, please feel free to e-mail us or ask on the information desk. Wikimania is a conference for people working on Wikimedia Foundation projects (primarily the world-famous Wikipedia) and other people who are interested in wikis, free and open content/software, and global development & education. See Meta and Wikipedia for more information. Where and when will this year's Wikimania conference be held? This year's conference will be held at Polish Baltic Philharmonic in Gdańsk, Poland, from July 9-11, 2010. Can you tell me more about WikiSym? What and where is Gdańsk? Gdańsk is a city on the Baltic sea coast with 455.830 thousand inhabitants. See more information here: About Gdańsk. What languages are spoken in Gdańsk? 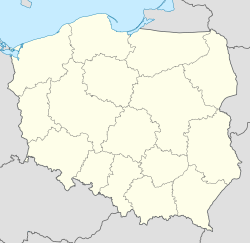 Polish or Kashubian are generally first languages, and English & German are often second. Do people speak English and other major languages in Gdańsk? Everyone who finished high school after 1989 should be able to speak at least basic English. Also, Gdańsk is visited by many German tourists so you should be able to communicate in German in some (more expensive) shops and restaurants in the tourist areas. Some people, especially over 40, speak, or are able to understand, Russian. What's the currency in Poland? Polish złoty is the official currency – although Poland is in the European Union, it has not adopted the Euro yet. One US Dollar is approximately 2.90 złoty, and one Euro is about 4.10 złoty. You can find the current rates here: . The rates used at the exchange offices or in banks are always lower than the official one - you will get less zlotys for each euro or dollar. Can I use my credit card in Gdańsk? Yes, credit cards are accepted by a very large number of shops, restaurants, hotels etc. Two most popular card types in Poland are Visa (including Visa Electron) and MasterCard (including Maestro). American Express, Diners Club and JCB are much less used by the Polish people, but they are also widely accepted. If you need some cash from your card, finding an ATM shouldn't be a problem in Gdańsk. How's the weather during the summer? What types of clothing do you suggest? Summer clothes are recommended, such as a T-shirt and jeans, although warmer clothes, like a jumper/sweater, may be needed at night. Taking a raincoat is also recommended as rainshowers are quite common. What electricity and telecommunications does Gdańsk utilize? This section of the FAQ is incomplete. Please think about answering some questions. All the accommodations you may desire and can afford. From five star hotels to student hostels or even camping sites. Please avoid sleeping in the streets with sleeping bags: we know it will be summertime but we don't want to have problems with the police. What room do I have? When is check-out time for the accommodations? Is there a gym or exercise facilities at/near the accommodations? Will conference accommodation rates be available the week before or the week after the conference, so that a visitor might extend the visit? See Scholarships for more information. I applied for a scholarship. When will I find out if my application is approved? The Scholarships committee will review the applications and get back to you after they have reviewed the hundreds of applications. I got a scholarship. How do I get reimbursed? We expect travel to be done in advance, so there should be no outlay by scholarship recipients, and therefore no need for reimbursement. Are there any additional documents I need to enter Gdańsk other than a passport? No. What's more, if you are a citizen of one of the European Union Member States, your national ID card can be used instead of passport. How are the international flights? 137 international flights leave Gdańsk airport every week. Help! I'm at the airport. How do I get into the city? Help! I'm in Gdańsk. How do I get to the venue? Help! I need to get to the venue in a cab. Do I need to have a Visa to enter Poland? Countries from which visas are not necessary are listed at this page. If your country is not on that list, please contact the nearest Polish diplomatic or consular office for detailed information on getting a visa. You will find a full list here. A few countries have specific visa requirements: they are listed here. You can find the visa application form here. When is the big party for attendees? If you see wikimania as an unconference then the big party has already started! What other related events are there? For now, look at official Gdansk site. Further news will be added as available. What is there to do before/after the conference? When will other people be there? Some participants are deciding to be there some days in advance but we are not able, at the moment, to say who and when. What is food like there? I have special dietary needs, what about me? In case you need special diet there will be an option to tick during registration. Should I bring my laptop? Will there be wireless internet access? Yes, wireless internet access will be available. I'm a presenter; how should I bring my presentation? This is not an official answer, but if you don't have a computer, on a flash drive is always useful. You can also save a copy of your presentation online, in case you lose your flash drive. How do I get announcements about Wikimania? Watch this site or sign up for wikimania-l, a low volume mailing list for most Wikimania related issues or announcements. What hash-tag should I use for tweets and photos?